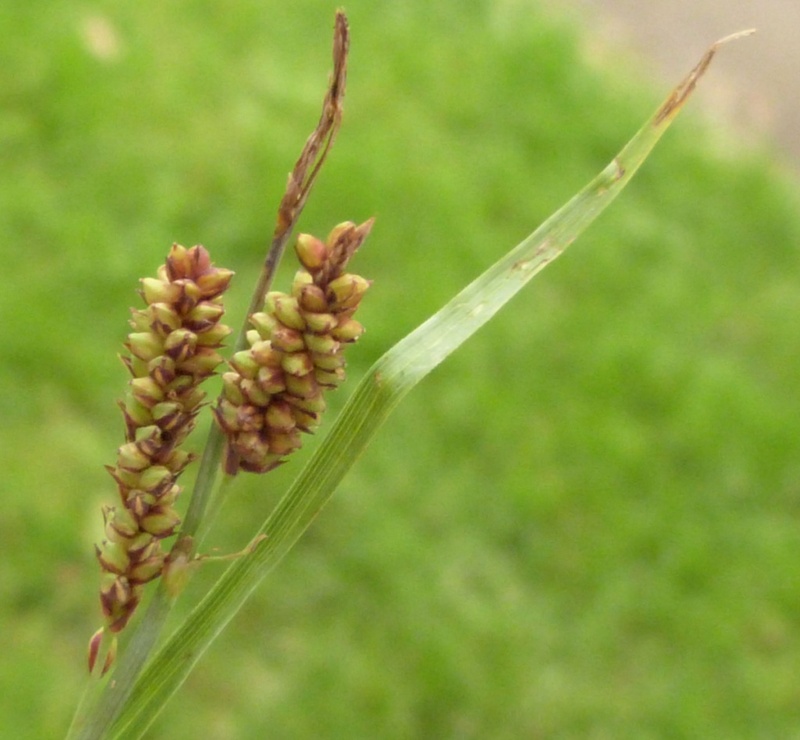 This plant reaches 10 to 60 cm and has short creeping rhizomes that bear small tufts of shoots. 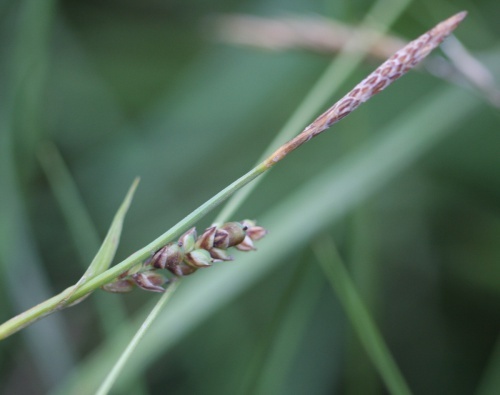 It is a very glaucous sedge with distinctive knobbly looking fruits. Widespread and fairly frequent in Britain except for a small area around The Wash. Occasional in the east and more frequent in the west of our area. In the 1979 Flora survey of Leicestershire it was found in 60 of the 617 tetrads.